1.) When I’m a ghost, I’ll subtly change around the sizes on your measuring cups so that your meals never taste quite right, but you aren’t sure why. 2.) When I’m a ghost, I’ll starch and iron all of your clothes for you. At first, you’ll really appreciate it, but then you’ll feel infuriated as you search for a pair of jeans without lame creases down the legs. 3.) When I’m a ghost, I’ll make you wiggle your eyebrows at people during very inappropriate times. 4.) 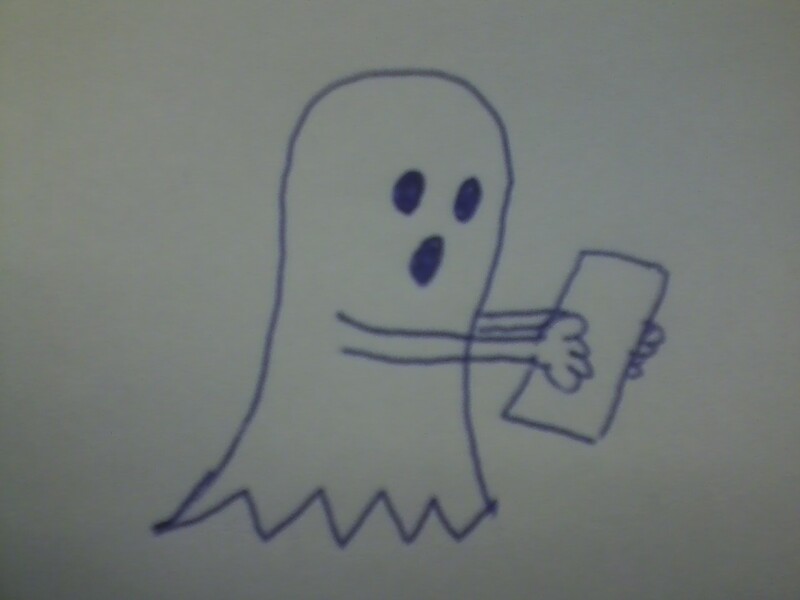 When I’m a ghost, I’ll make you break into dance uncontrollably during work meetings. When people give you funny looks, I’ll place a pack of Mentos in your hand as if you think that makes your actions reasonable. 5.) When I’m a ghost, I’ll change all of the windows in your house into stained glass. Beautiful, but incredibly frustrating when you just want to check if it’s raining. 6.) When I’m a ghost, I’ll surround your house with a mote and make an alligator chase you to your car every morning. 7.) When I’m a ghost, I’ll progressively shrink your underpants in the dryer so that wedgies become a chronic problem. 8.) When I’m a ghost, I’ll sit next to you when you eat and knock the utensils out of your hands as each bite approaches your mouth. 9.) When I’m a ghost, I’ll change all of the pillows in your house into Pillow Pets… Your least favorite Pillow Pet. 10.) When I’m a ghost, I’ll change the holiday card family photo you painstakingly prepared for so that you look like you’re super ticked off in it. And your clothes don’t match. 11.) When I’m a ghost, I’m going to make sure that everytime you try to take something out of your pocket, all you pull out is a handful of Cherrios crumbs. 12.) When I’m a ghost, I’ll fill your house with impressive Lego towers. First, you’ll be annoyed about it, but then you’ll come to appreciate the quality of the architecture. And eventually, you’ll become obsessive and anxiety-ridden about keeping the delicate structures in tact. As I understand it, ghosts tend to have lots of time to kill before going into the light. I’m just saying…you may want to start planning, too. When I’m a ghost I’m going to reprogram your DVR to record only crappy reality shows. You’ll be annoyed, but much like the rest of America, you won’t be able to turn the channel. Yes, I would be annoyed. And yes, I probably would keep watching. When I am a ghost, I’ll visit random blogs and make random comments on them. This may explain much of the randomness in the blogging world. very sophisticated and subtle plan, hope to read new posts from you soon. I think doing many of these things while you’re still alive are just as much fun. I agree. However, it’s much harder to retaliate against a ghost. Nice! That definitely fits in with the spirit of non-lazy ghosting!